Think the position of your bed, colors in your bedroom or where you hang mirrors have no effect on how well you sleep? 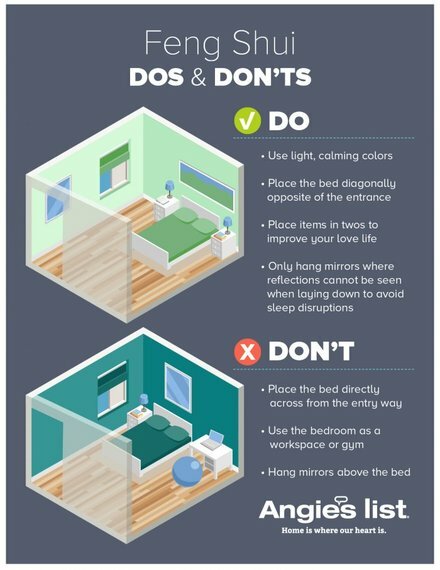 Consider these Feng Shui tips for a restful night. This post originally ran on AngiesList.com and is part of a series produced by The Huffington Post and Angie’s List on the topic of sleep. The series aims to educate readers about the dangers of sleep deprivation. Angie’s List is here to help improve your home, offering more than 700 types of services for your family. For more information about Angie’s List, visit AngiesList.com.